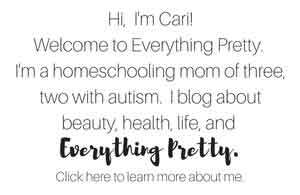 Home » skin » Salt Scrub vs Sugar Scrub - Which is Better? Salt scrub vs sugar scrub - which one is better? 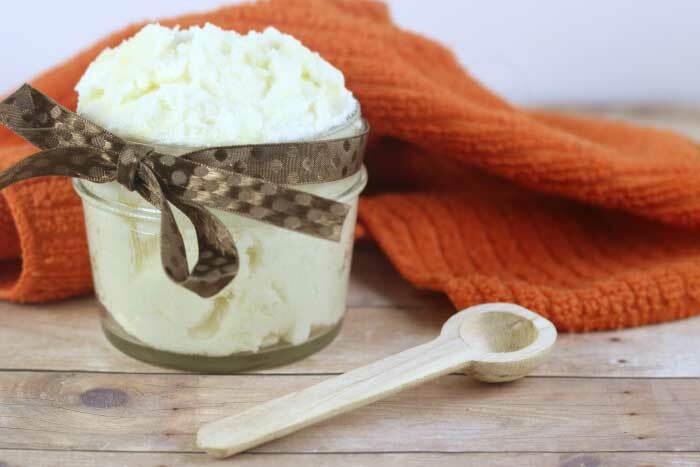 Here's how to pick the right ingredient for your DIY body scrubs. 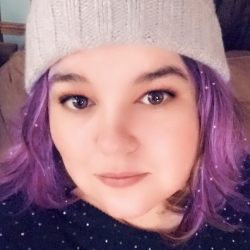 One of the most frequent questions that I get about my DIY beauty recipes is salt scrub vs sugar scrub? It depends on how you are using it and what you want to accomplish. Both salt and sugar have their own unique properties, so you can make the recipe that's right for your skin based on your skin needs. 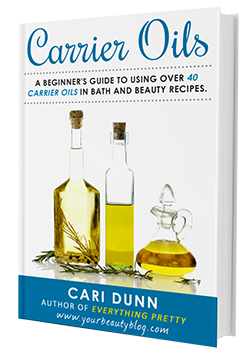 Don't forget, you can also customize your scrub recipe by adding different carrier oils and essential oils, too. Salt scrub vs sugar scrub is the million dollar question it seems. 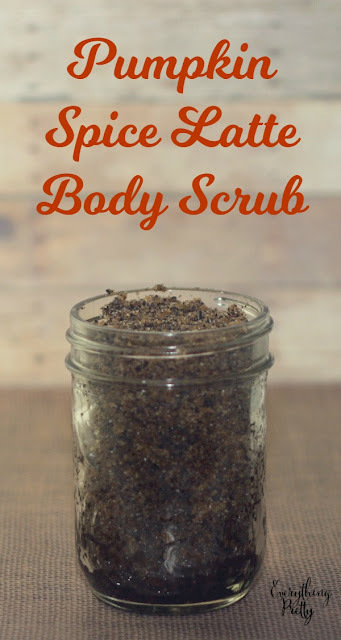 DIY body scrubs are so popular because they are so easy to make, but you may be confused about which one to make. Both will exfoliate your skin. The top layer of your skin has dead skin cells that look dull. Scrubbing helps remove those dead skin cells, so your skin looks and feels better. I use a scrub when my skin is dry. My skin gets flakey when it's dry, so the salt and sugar help remove the flakes. The oils moisturize my skin, too. 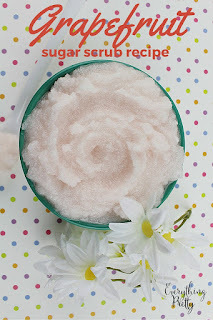 Sugar scrubs are generally more popular; personally, I post more sugar scrubs than salt scrubs. Table sugar granules are rounder than those from salt, so they are gentler on your skin. You can use them all over your body, even if you have sensitive skin. 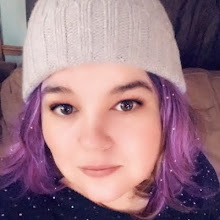 I do caution against using white sugar on your face because it can be too rough, but some people can get away with it. Sugar also dissolves easier in water, so there's a lot less mess when using the scrub. 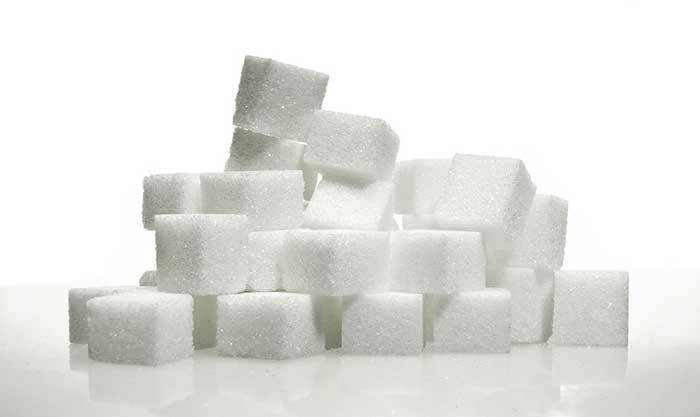 Unrefined cane sugar contains minerals like magnesium, iron, calcium, and potassium to feed your skin. Unrefined sugar is more coarse than refined sugar, so it's not good for your face. 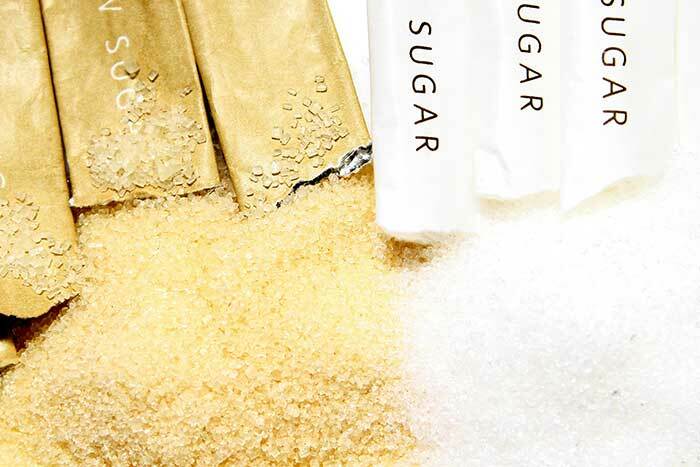 Since sugar is stickier than salt, the sugar helps the oil stick to your skin longer. Even after you wash your skin, some of the sticky sugar and oil stay on your skin, which means you get more benefit from the oil. This is one of the key difference in salt scrub vs sugar scrub. 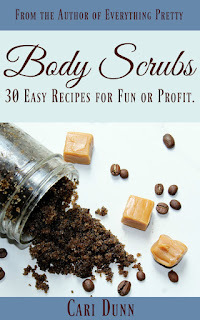 BROWN SUGAR OR WHITE SUGAR FOR YOUR BODY SCRUB? Brown sugar is gentler than white sugar, so it's best for sensitive skin and your face. Brown sugar gives the scrub a delicious scent, so sometimes I use it just for its natural fragrance. You can also mix brown and white sugar in a sugar scrub recipe. Just be sure to use the equivalent amount of sugar that the original recipe calls for so you don't mess up the proportions. If you use salt for a scrub, sea salt is best. If you look at a granule of sea salt, you'll see that the edges have a lot of sharp angles, so it makes an excellent exfoliator. This also means that it could irritate your skin, so it's best for very dry areas of skin like the bottom of your feet, knees, elbows, and ankles. 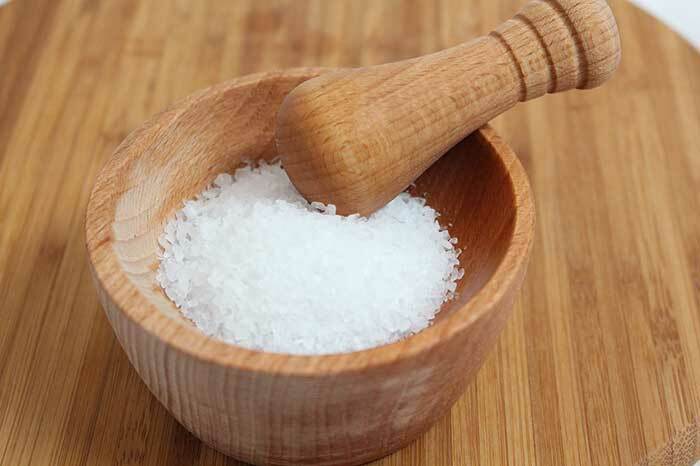 Sea salt also has the added benefit of drawing toxins out of your body. It can also help ease sore muscle pain because it has some anti-inflammatory properties. Epsom salts are called salts, but they aren't really a salt--they are actually magnesium sulfate. They also work well for the detox powers. Depending on where the sea salt is from, it can have different mineral content. These minerals can include potassium, iron, copper, calcium, and magnesium, which can all work to improve circulation. If you have sensitive skin or abrasions on your skin, use a sugar scrub. For rough, dry areas, use a salt scrub. Since salt is more abrasive, use it only once per week. Sugar scrubs can be used two to three times a week. Personally, I've never had a problem interchanging salt and sugar in a recipe. Just remember that if a scrub is for your face, don't use any salt. 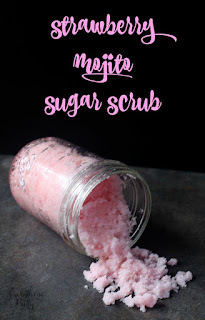 But if you want more scrubbing power from a sugar scrub, replace the sugar with sea salt. Now that you know which is better for scrub, salt or sugar, you can make your own recipe. Generally, you can interchange them in the recipe, but you may need to adjust the amount of oil. Maybe you're not the DIY type. I get it. 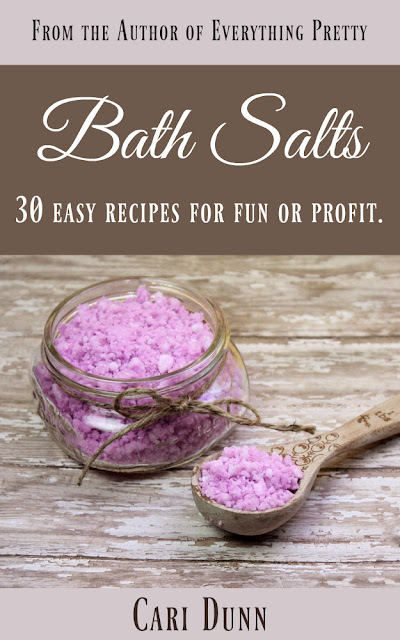 Here are my favorite salt scrubs or sugar scrubs that you can buy. 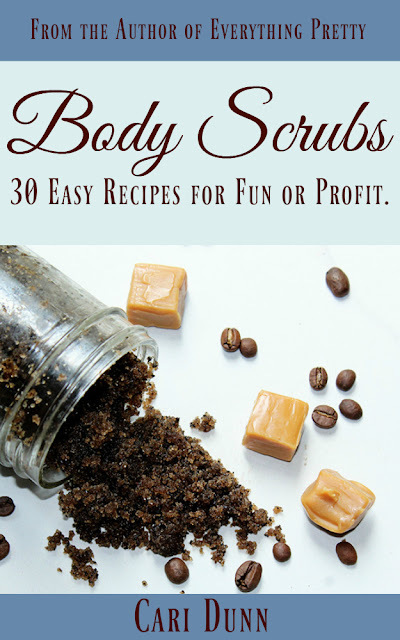 Whether you use salt scrub vs sugar scrub, using a body scrub is really easy. I use a scrub for my hands at the sink. But for my body, I use them in the shower. Scrubs have oils in them, so be careful not to slip. And don't scrub your feet in the shower. It's best to sit down while you scrub your feet. Since salt scrubs are more abrasive than are sugar scrubs, it's best to use them once a week. You can use a sugar scrub twice a week if needed. I usually use it twice a week for a few weeks and then just once a week when my skin looks and feels better. To use a body scrub, wet your skin. Then scoop a few tablespoons or 1/4 cup of scrub out of the jar. Gently scrub your skin in a circular motion. Then rinse well. Pat your skin dry with a soft towel. Don't rub your skin because your skin will be sensitive. Immediately apply a lotion or body butter to trap in moisture. Don't use a salt scrub or sugar scrub on irritated or broken skin. You may be tempted to get rid of peeling skin from a sunburn by exfoliating, but trust me that is never a good idea. Use a sugar scrub or salt scrub before shaving and not after. 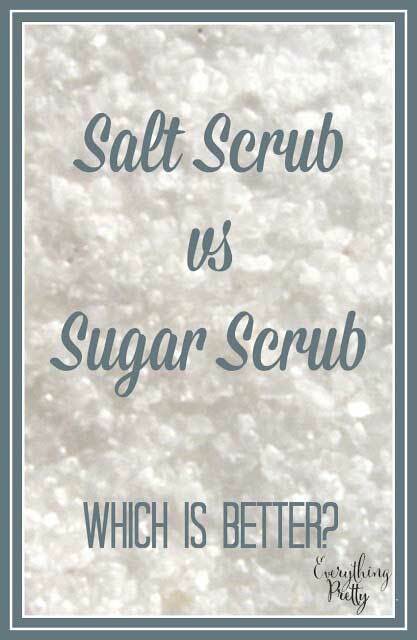 Salt scrub vs sugar scrub: which one do you prefer?